I was listening to a representative of the Writers Guild of America bang on last week about how modern day film and television writers were unappreciated, and his theory that in the future they may avoid the major networks altogether and broadcast directly on to the Internet.This got me thinking about the future of conventional film and television so in order to do a little more research I started looking around on the Internet to see how close this was to becoming a reality. I very quickly got sidetracked when I stumbled across an application called ‘Joost’ which is still in beta (testing) stage; after spending over an hour playing around I decided that it would make a good inclusion for Click.You may remember that, several years ago, I reviewed an application called TVexe which was good in principal but lacking in the design of the user interface.Joost is very much along the same lines as TVexe in the way that it brings together hundreds of different TV channels from both on and off the web but it does it in a much more user friendly and organised fashion. The user interface of Joost is unlike a conventional Windows application in that it launches up in full screen mode, and there aren’t any drop-down user menus to speak of.What you are presented with instead is an interface that looks more like Windows Media Centre with large, self explanatory icons which seamlessly hide themselves when not required.I personally think that the interface is very slick and makes navigating through the channels and programming as easy as when using a conventional TV. 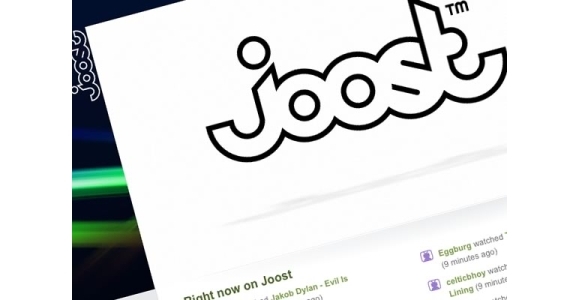 According to their website, Joost includes more than 20,000 shows and the list is growing daily.Unlike a large amount of Internet programming, Joost is a relatively closed platform, and as such it is ultimately up to them what material users can and cannot get access to.There is, for instance, no facility to upload your own amateur footage however I think that this can potentially be seen as a positive thing because as a result it may achieve greater approval by mainstream audiences.Open programming is fantastic because it gives everybody a voice but we already have YouTube, and I like the fact that Joost is seemingly more like conventional and commercial television. On the subject of commercial, I should point out that Joost is supported by a very small amount of advertising.Whilst I wouldn’t usually recommend a piece of advertising supported software, I appreciate that revenue is required at times and companies can’t always be expected to give us something for nothing.Joost is a piece of commercial software by the co-owners of Skype and as their first venture since eBay acquired Skype for $2.6 billion in 2005, I’m not surprised they have expectations of making some money from this.The advertising is very, very minimal and is no where near as much as on conventional TV so as long as it stays this way then I’m happy. In terms of actually choosing what programs to watch, Joost isn’t like conventional TV in the fact that it’s not broadcast live.Rather than tuning in at a specific time you simply select your channel and then you will be presented with a list of programs on that channel to choose to watch from the beginning. The software is still in beta mode and as such it wasn’t the most stable application that I’ve ever used and it has to be said that the quality of the video isn’t presently up to what we would expect to see on TV.This having been said, I am excited by this application as it is the closest I’ve seen to Internet TV being a sustainable commercial enterprise.Unfortunately I haven’t had time to scratch the surface of what this application can offer but I think it will be one that will really be worth downloading, providing you have a broadband connection.It is available from www.joost.com for both Windows XP/Vista and Mac OS X computers and consists of a relatively small 10mb download.